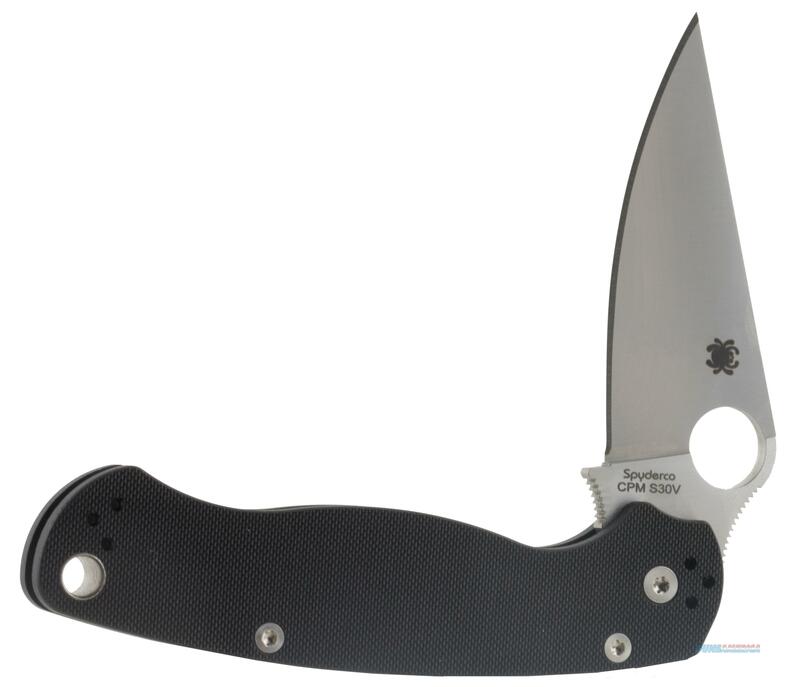 Description: The Spyderco Paramilitary2 Black Knife has a plainedge. The handle is narrowed for better ergonomics. The blade profile is now streamlined, eliminating any angles to catch or rub in the pocket.